Neglected Tropical Diseases affect over 1.5 billion people in some of the poorest and most marginalised communities. They are considered to be ‘neglected’ because efforts to control or eliminate them have historically lacked sufficient investment relative to their impact. 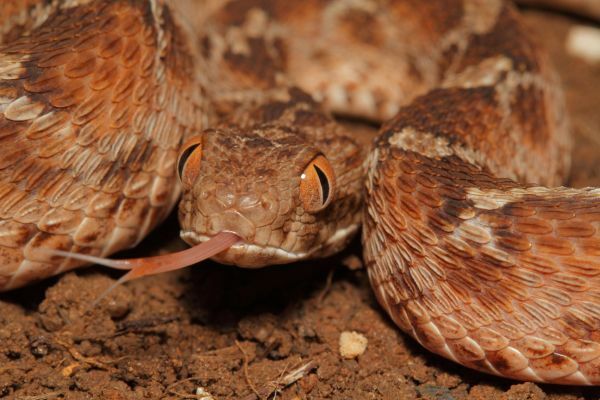 Figure 1: The Northeast African carpet viper (Echis pyramidum) and its relatives (genus Echis) are responsible for large numbers of snakebites in Sub-Saharan Africa and India. Photograph by David Williams (AVRU). On the 9th June, 2017 the World Health Organization (WHO) made the landmark decision to list snakebite envenoming as a Category A Neglected Tropical Disease (NTD). This move was in response to a request from UN Member States, supported by the Global Snakebite Initiative (GSI), who are concerned that the magnitude of the suffering caused by snake bites has been unappreciated and in some cases ignored. By recognising snakebite envenoming as an NTD the WHO has sent a powerful message to governments, donors and civil society, signalling the need for coordinated and well-resourced efforts to control the impact of a health emergency that claims as many as 125,000 lives every year, and leaves hundreds of thousands more suffering disabilities and shouldering financial, psychological and social burdens that deepen their poverty and devastate their lives. The impact of snakebite can be life-changing. This short preview from the upcoming film ‘Minutes to Die’ gives a glimpse of a global catastrophe (Video courtesy: Lillian Lincoln Foundation). Australia is world famous for its diversity of creatures that bite and sting. Filmmakers and journalists love to inform us that “all ten of the world’s most venomous snakes” hail from Australia, despite this factoid being based on data almost 40 years old and long since revealed to be innaccurate. Australia certainly is home to a great diversity of venomous organisms, including some of the world’s most venomous snakes… according to studies conducted on little white mice in laboratories. It’s important to put this information into context, however, because the most venomous snakes are not necessarily the most dangerous snakes. In fact, the inland taipan (Oxyuranus microlepidotus), a central Australian serpent that is often called the “world’s most venomous snake”, has not been responsible for a single human death that we know of. The truth is that snakebite is not a huge public health issue in Australia – between 1 and 2 lives are lost to snakebite in Australia each year on average. There are many reasons why we are able to keep that number so low here in Australia, one of which is that the numbers of bite victims really aren’t all that high. Snakes are common, but they’re not out to get us and most of us know to leave them alone. The other reasons for the small number of deaths here largely centre on the high standard of living so many of us are privileged to enjoy in this country. Most people have access to sturdy footwear that can prevent bites and, when accidents do occur, well-trained doctors in well-provisioned hospitals with access to high-quality antivenom, the only effective treatment for snakebite, are usually not too far away (especially as the majority of bites occur in urban areas). We’re even lucky, believe it or not, to have the particular snakes we have – although many have highly toxic venoms, few cause extensive tissue destruction, which is difficult to treat with antivenom and can lead to permanent disability in snakebite survivors. We really are the lucky country when it comes to snakebite, but many others are not so fortunate. What is a relatively minor problem here is an issue of the gravest concern elsewhere in the world: snakebite is one of the world’s most neglected tropical diseases. It’s very difficult to get accurate data regarding the extent of the snakebite burden worldwide because many bites from rural, remote, and indigenous communities go unreported and even central government statistics, which record the number of people who seek medical treatment, are notoriously unreliable in developing countries. 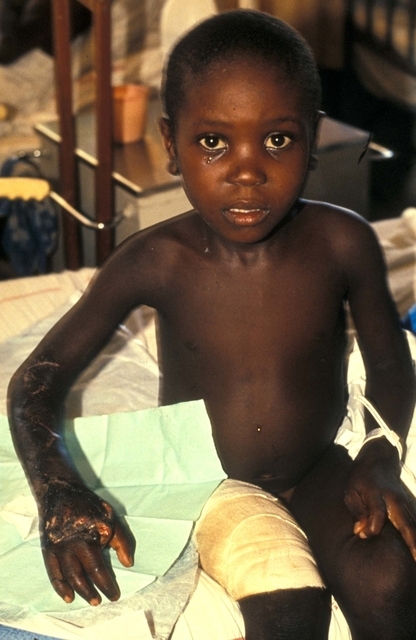 The best available estimates, however, indicate that between 1.8 and 2.7 million people develop a clinical illness following venomous snakebite (i.e. are “envenomed”) worldwide each year. And more than 125,000 of these bite victims lose their lives, including at least 46,900 in India alone. For every person who dies of snakebite envenoming, there are another 3-4 who are left permanently disabled. cultural and social beliefs and practices that divert them to traditional healers and delay or prevent effective therapy. In some regions of the world, the lack of access to safe and effective antivenoms that victims can afford has reached crisis point. Sub-Saharan Africa has been especially hard hit as it lacks large-scale local antivenom producers, and most countries rely on imported products that may, or may not, meet the right standards. Some products that have been marketed in Africa have proven to be ineffective and unsafe. At the same time, some manufacturers who were making better quality products have ceased production as a result of competition from cheap, low quality alternatives. Poor quality products lead to poor outcomes for victims, which in turn fuels growing distrust in affected communities of the effectiveness of conventional medical treatment with antivenom. This has seen the demand for antivenom collapse and the number of victims dying or being left with long-term complications and disability skyrocket. The production of safe and effective antivenom is itself challenging, and the lack of investment in improving the treatment of snakebite envenoming has hampered research into the development of improved antivenom products, more efficient means of production, better quality control, and innovative approaches more generally. Antivenoms are still largely produced using technology that was first invented more than 120 years ago. While they can be extremely effective, affordable and safe when produced according to well-regulated processes and procedures, not all manufacturers meet these standards, and not all manufacturers have access to technologies that could significantly improve their products. Improving the production of antivenoms, enhancing quality control, developing new products with better coverage, ensuring safety, and balancing practical issues such as cost, product longevity and stability, regulatory oversight and enforcement, are all issues with no easy solutions. The situation has been further compounded by a lack of accurate reporting that makes it difficult for governments to know exactly what the full extent of the problem is, and in turn, to determine the resources needed to tackle it. In countries such as Cambodia, Senegal, Kenya or India many victims seek no treatment in a health centre or hospital at all, and in some cases 70-90% of people who are bitten seek help from a traditional healer instead. This means that official figures are often inaccurate. Since medical treatment can be very expensive, and because traditional medicine holds a strong place in the belief systems of communities, changing attitudes and encouraging greater use of medical facilities is problematic. Solving this dilemma is crucial. Until more people begin to access good medical care, and can do so affordably, the reporting of snakebite envenoming will continue to be fragmented and unreliable. Young boy facing a life of disability after a bite from a Puff adder (Bitis arietans) near Negwelazane in KwaZulu-Natal, South Africa. Photograph by David Warrell (Oxford). Like so many diseases in the developing world, the burden of snakebite is heaviest in poor communities. Agricultural workers (including working children aged 10-14) and people living in poorly constructed homes face the highest risk and often have limited access to education, health care and even footwear. When poor people are bitten, the luxury of modern healthcare is usually far removed from their reality. Faced with few options, many may go and see their local traditional healer, often wasting valuable hours on ineffective remedies when rapid administration of effective antivenom is the only thing between them and death or permanent disablement. If they do make it to a hospital for treatment and are lucky enough to receive antivenom and survive their ordeal, they risk being pushed into deeper poverty by the high cost of treatment and the loss of income that may result from the physical and psychological damage caused by envenoming. Rural Indian home. Photograph by Diana Barr (AVRU). In rural India, where 75% of people live on average monthly household incomes of just 5,000 rupees (US$78), immediate treatment costs after snakebites of more than 350,000 rupees (US$5,400) have been reported. The follow-on economic losses due to loss of income or being forced to sell livestock, homes, or land in order to meet additional costs can be as high as 400,000 rupees (US$6,215). While most patients spent less than a week in medical care, the majority require anywhere from 1-6 months’ time away from work in order to recover, placing enormous pressure on already disadvantaged families. The impact can be so severe that after a snakebite some families have no option but to remove children from school, simply because they can no longer afford to keep them in education. 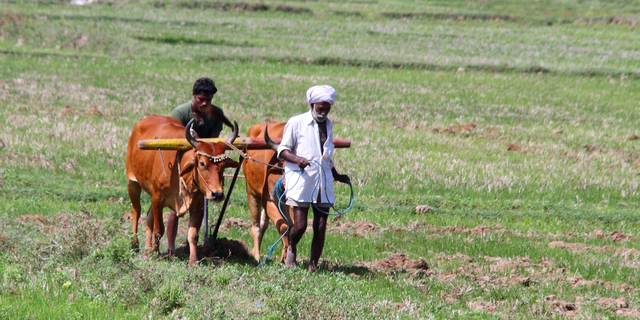 Indian farmers face the risk of snakebite while working in their fields. Photograph by David Williams (AVRU). Australia is not unique in being home to a plethora of venomous snakes, which are widely distributed throughout the sub-tropical and tropical parts of the world. Although many species around the world decline in areas of high human population density, other species are synathropic, meaning that they live quite happily alongside humans and actually benefit from the ways in which we modify the environment. Rats and mice are amongst the most familiar of synathropic animals – wherever we go they seem to multiply, taking advantage of the ready sources of food (principally grains, but they aren’t fussy) we inadvertently make available to them. Many venomous snakes love to feed on rodents, making agricultural and suburban or even urban areas attractive environments for the more adaptable species. In Australia, it is well known that brown snakes (genus Pseudonaja) are common in rural areas, and indeed their numbers have increased (often at the expense of less dangerous species) as we have cleared land and rodents have moved in to feed on our crops. In India, something similar has happened with cobras (Naja naja) and Russell’s vipers (Daboia russelii), two species responsible for huge numbers of bites to humans. Other dangerous species of snake, such as kraits (genus Bungarus) may be there to feed on the cobras and vipers, as well as rodents. In many parts of Africa and Latin America a similar story can be told; the snake species involved may change but the formula is the same – abundant venomous snakes in areas with high human population density (a combination that is rare in Australia, despite the success of brown snakes) result in large numbers of human bite victims. 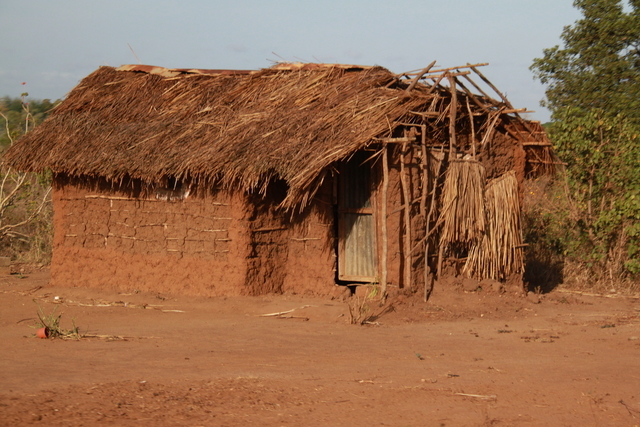 Houses made from basic materials, like this rural Kenyan dwelling, are easy for venomous snakes to enter. Photograph by David Williams (AVRU). It isn’t just agricultural practices that expose people to a higher risk of snakebite, inadequate sanitation, associated with so much disease, and poorly constructed housing, also contribute. A lack of plumbing can force people to travel some distance from their homes in order to go to the toilet or to bathe. Communal latrines may attract rodents, which, again, attract venomous snakes, a situation that often exposes women and young children to the risk of snakebite. 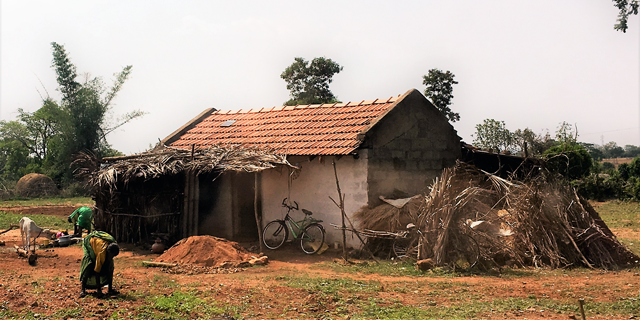 Poorly constructed homes are easily entered by snakes in search of prey and people sleeping on the floor are at particular risk of bites from Asian kraits (genus Bungarus) and nocturnal African spitting cobras (genus Naja). People living in poor quality housing with inadequate sanitation are typically also those without access to sturdy footwear (which can prevent a large percentage of bites) or adequate healthcare. They are also most likely to be those with the greatest occupational exposure to the risk of snakebite - farmers, plantation workers, herdsman, pastoralists, fishermen, forestry workers, hunters and members of nomadic communities. The most common victims of snakebite are between the ages of 10 and 30, typically the most productive members of society, which adds to the impact of their death or disablement on their families and communities. This complex suite of factors results in snakebite disproportionately affecting members of the lowest socio-economic classes. 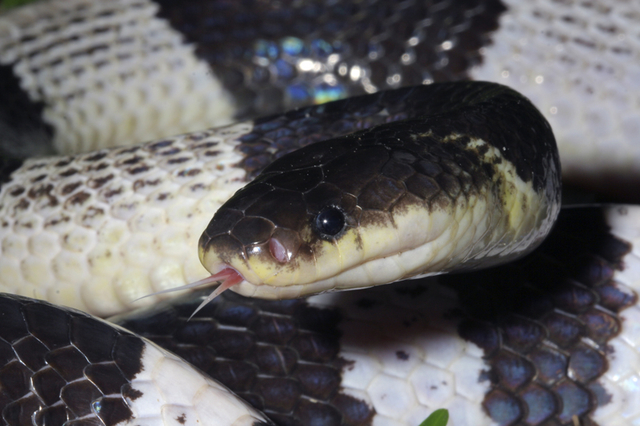 In Asia, many people are bitten at night while asleep by snakes like this Malayan krait (Bungarus candidus). Photograph by David Williams (AVRU). Snakebite is one of the world’s most prevalent and impactful zoonotic (animal in origin) diseases and is responsible for 4 to 5 times as many deaths as mosquito-borne dengue haemorrhagic fever. Despite this, and despite the fact that snakebite is a readily preventable and treatable disease, it has received little attention from international aid organisations or charities. New technologies for neutralising snake toxins are widely reported in the media, and may be part of the long-term solution, but immediate action is required through a coordinated strategy focussing on prevention, effective first aid, adequate distribution of effective antivenom and better treatment for patients during recovery and rehabilitation. A firm evidence base is required for the validation of first aid techniques (which may differ in appropriateness for bites from different snake species) and antivenoms, as well as the development of new therapies for conditions (e.g. tissue destruction) poorly addressed by currently available antivenom technologies, but investment in such research has been meagre and insufficient. A level of investment appropriate to the magnitude of the problem is sorely needed in order for the required level of research, antivenom supply, andprovision of (for example) sturdy footwear, bed nets and appropriate education to high risk communities, to be achieved. The Australian Venom Research Unit (AVRU) and the Global Snakebite Initiative (GSI) have been at the forefront of efforts to raise awareness about the impact that snakebite envenoming has on people living in tropical and sub-tropical regions of the world for many years. Our long-term collaboration with colleagues from Papua New Guinea to improve the treatment of snakebite envenoming in that country has helped us to test a range of strategies and interventions that are already saving lives on the ground. AVRU staff have provided technical expertise to the Cambodian government to develop a plan for improving health worker training, antivenom access and snakebite injury surveillance in that country, and over the last seven years we have collaborated with partners in countries such as Kenya and India to raise awareness of the problem and develop pathways to address it. 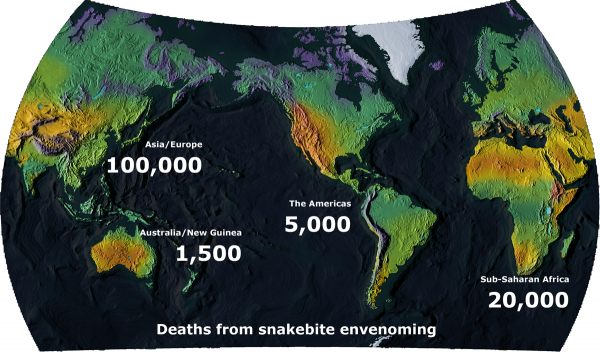 Together with international colleagues we have worked to raise awareness of snakebite envenoming as a global public health problem, and have actively pushed for greater recognition and resources. Over the last two years, through our leadership of the Global Snakebite Initiative, a non-profit NGO committed to providing a voice for the victims of snakebite, we have been working closely with the GSI Secretariat at Health Action International (HAI), and with other international collaborators to support the World Health Organization (WHO) in projects aimed at improving the safety and effectiveness of antivenoms, providing guidance on antivenom production, regulation and quality control, and other activities. AVRU head and GSI CEO, Dr David Williams edited the second edition of WHO’s Guidelines for the Production, Control and Regulation of Snake Antivenom Immunoglobulins in 2016, and is currently working with WHO on the evaluation of antivenom products potentially suitable for recommendation in Sub-Saharan Africa. In 2016 Dr Williams joined forces with other experts to argue the case for the recognition of snakebite envenoming by the WHO at the 69th World Health Assembly in the Palais des Nations in Geneva. Convened by the Government of Costa Rica and chaired by the Costa Rican Minister for Health, Dr Fernando Llorca, this meeting created the impetus for preparing a case for the listing of snakebite envenoming as an NTD. In January 2017, an application sponsored and supported by a coalition of UN Member States led by the Government of Costa Rica was submitted to the WHO. This application was considered by the WHO NTD Strategic Technical Advisory Group (STAG) at their meeting in March 2017, and on 9th June, 2017 snakebite envenoming was added to the WHO list of Category A NTDs after approval from WHO’s Director General . engaging with experts who can help victims through the processes of physical, psychological and economic rehabilitation after snakebite. Much hard work will need to be done on the ground in afflicted countries in order to solve some of these problems, and sustained research effort will be required by expert teams in laboratories around the world. The AVRU is playing a major role in this through its leadership of the Global Snakebite Initiative, and through our projects to tackle snakebite in places such as Papua New Guinea, Indonesia and India.